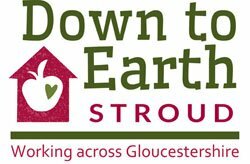 Welcome to the Down to Earth Stroud newsletter for 2016. We had another very busy year with the launch of two fantastic new projects plus the growth and development of several others. Here’s a brief summary of some of our key moments and achievements from 2016. Please see our website for more details and photos and keep in contact on social media to hear our latest news! We started the seed bank in January 2016 with the grand aim of making Stroud self sufficient in seeds – and it seems to be working! 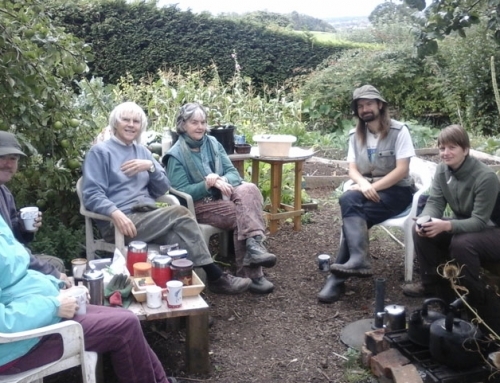 In our first experimental year we recruited and trained 15 volunteer seed guardians who went on to grow over 50 different varieties of vegetable, herb and flower seeds in back gardens and allotments around Stroud. In January 2017 we filled over 200 seed packets with our homegrown seed, and distributed over 100 of these through our market stall. Along the way we have made new friends, shared ideas and information, visited the national Heritage Seed Library near Coventry and learned a great deal on many levels. We start the new growing season collaborating with Transition Stroud to put on a film screening and seed saving workshop to raise awareness of the seed bank. We hope to double the number of seed guardians in 2017 and build on our newly acquired skills and knowledge to produce more and better seed in the year ahead. 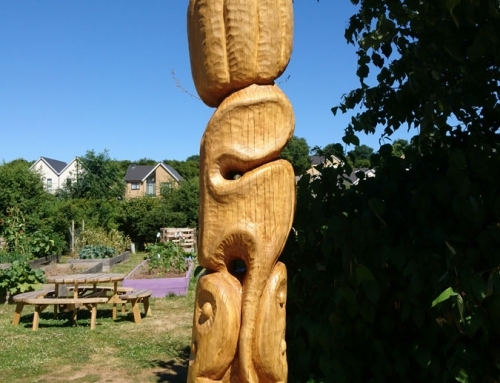 of the development included the planting of fruit trees and the development of raised bed allotments on waste ground in front of the hospital. Individuals can be sent to us through social prescribing or from the local community. Over the rest of the year, the raised beds went in, most of which are now allocated to tenants and we are awaiting confirmation that we can install further raised beds in spring 2017. We launched a gardening club for our volunteers and allotmenteers, improved many of the flower borders and installed a well stocked shed. We are still in need of more volunteers for the gardening and any donations of plants or tools. We held our first wassail here on 19th February 2017. We had a great turn out, and our wassail master Steve Rowley did a fantastic job in leading us. We sang traditional wassail songs, hung toast in the tree, drank cider and celebrated the project’s success. We look forward to making this an annual event. After a hugely successful first year in 2015 the Fruit Exchange continued to make progress in 2016. A list of participating businesses was added to our website (plus a map) so that anyone with surplus could see where to take their fruit, veg and/or nuts. Exchanges took place across the Stroud District and huge amounts of fruit were made use of again. We also promoted the many apple days across the region for people to take their fruit to. In 2017 we are looking at recruiting ‘fruit wardens’ to help support the project in their local area, and also hope to spread the Fruit Exchange outside of the Stroud District. Every year this goes from strength to strength and 2016 saw some of the biggest changes. Over the years we have developed the land from what was once waste land covered in brambles into a flourishing and abundant vegetable garden, reliant on a core group of volunteers who toil away every week. This year especially we have had a bumper crop and we are very proud of the steps we have taken. 2016 saw the installation of a pond, removal of some dead trees which were overshadowing huge areas of land, brambles were cleared and many seeds sown into the freshly cleared ground. We have also set up several water saving measures, trying to collect and reuse all of the water we need, and are building a recycled greenhouse. We hold several fruit tree sales every year at Stroud Farmers’ Market. This year we had some great new varieties including medlar, mulberry, nut trees, tayberry and loganberry. Held in February each year in partnership with Transition Stroud, every year it is getting bigger and better than the last! 2016 saw Philip Booth of Stroud TV make a fantastic video about the event which you can find on YouTube. 2017 saw the return of the fantastic Lemon Drizzle Cake made with potatoes and the reissue of the recipe book put together by Transition Stroud. 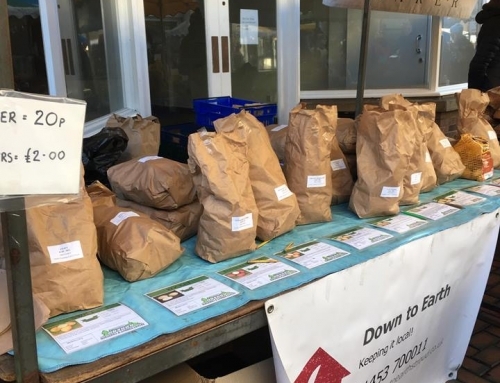 We sold just over 237kg of tubers and raised vital funds to help us continue with our local food work all run by volunteers. Another great day celebrating the humble spud! Every year we grow a range of organic veg plants in home-made compost and recycled pots. 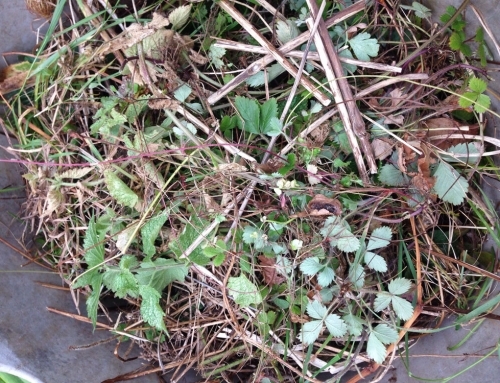 Our volunteers help out with this by looking after the seedlings until they are ready. We then have a stall at Stroud Farmers’ Market and give them away in exchange for a donation. A huge amount of commercial hedging, although promoted as native, is actually brought in from Holland. We began a nursery at our Selsley Community Growing Scheme to collect shrubs and hedging materials – particularly saplings – that we’re going to eventually distribute or give away for a donation. On Monday 3rd October 2016 we welcomed around 20 visitors to an open day at our Selsley Community Growing Scheme as part of the fantastic Stroud Valleys Showcase which celebrates the district’s green and sustainable projects. There was a lovely group of visitors on the open day, we brewed tea on the open fire pit and had many interesting conversations. Thanks to everyone who came. We provide a range of gardening services across Gloucestershire. Our DBS-checked gardeners are committed to an environmentally-sensitive way of working and deliver a wide range of skills. We currently work with 23 self-employed gardeners – with some being supported in transition from other vocations – and try where possible to develop their skills, knowledge and understanding through buddying and paid for training. Our work includes looking after a retirement village gardens and grounds with over 60 cottages, a large pond and a wooded area. We now run three assisted gardening schemes, with Stroud Town Council, Stroud District Council and Cheltenham Borough Homes. People who are unable to look after their garden due to age or illness are eligible to subsidised gardening support. We are also looking at running similar schemes elsewhere. 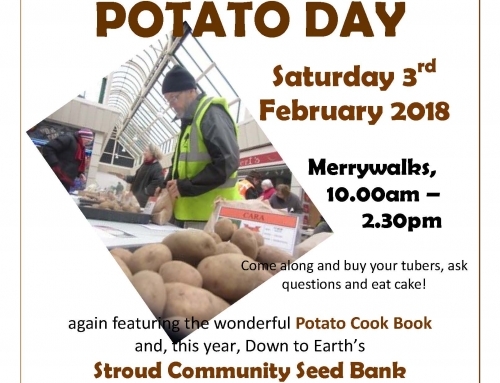 As we continue to spread our work outside of the Stroud area, we are hoping to set up a seed bank in Dursley and to look at organising a potato day. If you would like to help make this happen, get in contact! Want to help make all this possible? We are a not-for-profit and gratefully accept donations. Go to our homepage and there is a donate button on the bottom-right.